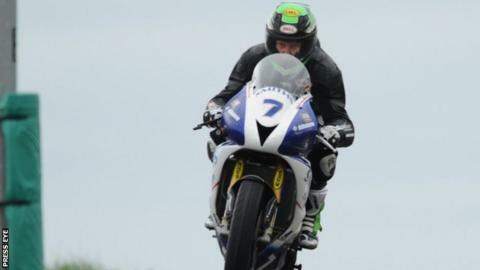 Gary Johnson has won two Isle of Man TT races both in the Supersport class. Two-time TT winner Gary Johnson has said he is "excited" after announcing a return to Triumph machinery at the 2016 event. The Lincolnshire racer will ride a Triumph Daytona 675 for Team T3 Racing - the same bike his last TT win came on in 2014 for Smiths Racing. Johnson will represent the three time British Supersport Cup Champions in both 600cc races. "It's great to be back on a Triumph 675," the 35-year-old said. "I have a wealth of knowledge on the bike and I hope to replicate the success of 2014 this year. "I'm eager to get going as we have a busy testing schedule ahead to be fully prepared for first practice in June".